UX Sofia is a three-day conference that leads with hands-on learning. Two days of workshops will take place November 7-8, with a full day of seminars to follow on November 9. 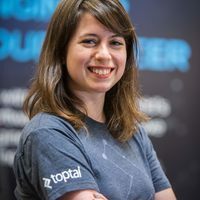 Toptal designer Merve Postalcıoğlu, will be a featured speaker, posing the question How might we apply design thinking to daily work? Design Thinking is a way for everyone, not just designers to be creative and innovative using a designers’ toolkit. As designers, developers, product managers who aren’t working in a design-oriented company, how might we apply this methodology to our work? In this talk, you’ll learn about design thinking tools that you can use in your projects, as well as how can you get advantages from design thinking in your own life. Join Merve November 9 at 10:30am to hear more. For more information and to get your tickets, please see the event website.